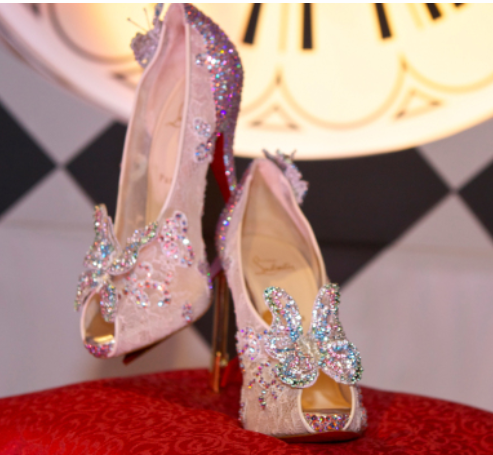 Speechless… Red Sole Cinderella Shoes!!! Do not be surprised if we see Mariah Carey with the new Christian Louboutin Disney inspired, “Cinderella” pumps. Cinderella’s glass slippers, which were unveiled in Paris on July 4h, 2012. The glass slippers with the red sole is every girl’s dream come true. The Cinderella shoes will be a collectors item as only 20 pairs will be produced. Ladies, there is a chance to grab a pair. Disney and Louboutin are planning on having a giveway this fall. I will be the first one to sign up!